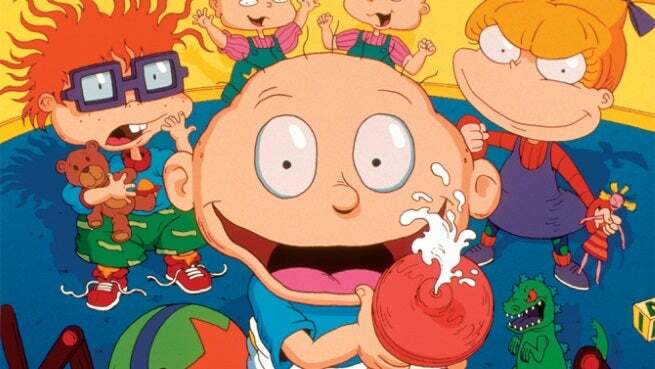 Get ready for another dam of pent up nostalgia to burst, as Nickelodeon is looking to revisit its catalog of classic cartoons and live action programming. “We are looking at our library to bring back ideas, shows that were loved, in a fresh new way,” Russell Hicks, president of content and development at Nickelodeon, told Variety. That library includes beloved series like Rugrats, The Adventures of Pete & Pete, Double Dare and Hey Arnold! Hicks declined to specify any particular series under consideration for a comeback. “We are getting ready to bring back some of the ones they’ve told us multiple times they want to have brought back,” said Hicks. Hicks notes that these classics most likely won't be brought back as full series, but possibly as movies or specials that won't take up too much of the networks resources to develop.